Want power on the field? You’ve got it with our Stampede 2.0 SG footy boot. It has a wider forefoot thanks to new wide-fit Power Last engineering and a raised heel to give you that extra edge when the pressure’s on. Canterbury’s Stampede 2.0 SG footy boot is built for power. The design features a durable PU upper and heavily cushioned ankle collar to ensure maximum player comfort. It’s engineered on our new wide-fit Power Last to create a comfortable wide forefoot. 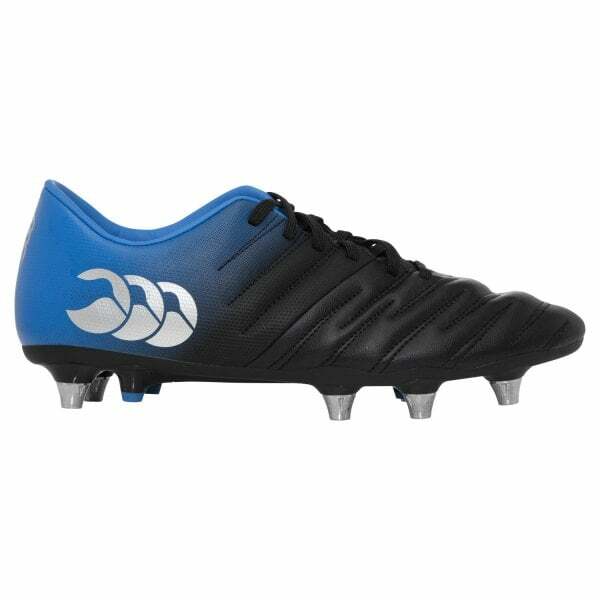 It also has an 8mm heel raise designed to reduce lower limb strain and promote a powerful foot position and with an 8 stud outsole with additional TPU traction, it delivers unrivalled power on the field.